Macao (in English spelling) or Macau (in Portuguese spelling) is situated on the coast of southern China or, to be specific, on the southwestern margin of the Pearl River Delta adjacent to Zhuhai, Guangdong province (Fig. 2.1). It is believed to be the first city in China to have been occupied by Europeans and also the first Chinese city to embrace globalization through the development of worldwide trading routes. In addition, Macao witnessed the earliest and longest-lasting encounters between China and the West, and is praised to this day as being a unique blend of Western culture and Chinese civilization. 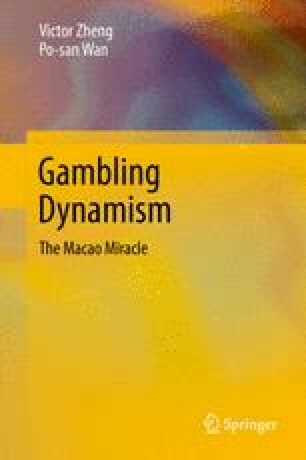 In a number of recent surveys on world cities, Macao ranked at the very top of the list in terms of per capita GDP and attractiveness to young artists (Clark and Moonen 2011, p. 45; Flavorwire 2011; McKinsey Global Institute 2011, p. 3). Whatever the indicator, it is certain that Macao is an extraordinary city that is worthy of more in-depth study.